Meenakari Enamel on Sterling Silver Figurine, "Lucknow Royal Elephant"
Dressed in a floral cloak and wearing fancy earrings, this elephant's royal stature is created with meenakari. Rajat presents a regal figurine that is sculpted with sheets of sterling silver featuring patterns in low relief. 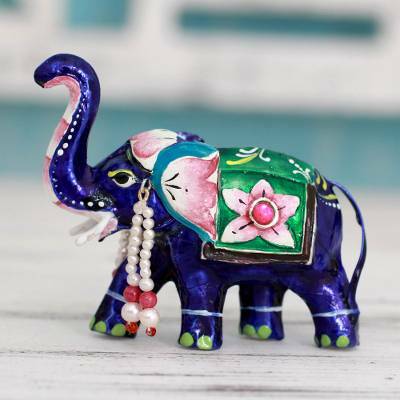 The elephant is decorated in royal blue and green, according to the meenakari tradition of Lucknow.